The building: an imposing yet dilapidated grey monolith lacking interest or warmth. The iron fence outside of it: built tall and strong to remind people like me to stay away. The activity inside: lies, pain, death, waste. But if I don't go and pray, that doesn't make the building disappear. Death will still happen inside of it. Women (and men) will still walk away from it, wounded, forever hurt. A kind soul recently asked me how I'd respond to people who don't understand abortion-clinic prayer vigils. Why not, they reason, spend your time inside a crisis pregnancy center? If you really want to help women, why not actually do something? With a few caveats (one being that we financially support our local crisis pregnancy centers) I responded with my top four reasons. Not every woman who knows where an abortion clinic is, also knows where a pregnancy resource center is. It would be nice if every crisis pregnancy center could be right across the street (or right next door) to an abortion clinic, but at least in our town, the center is a good 2 miles away. When I go and pray during 40 Days for Life, I hold a sign that has the phone number to our local crisis pregnancy center. So: It's important to be there, at the abortion clinic, to spread that information. Just as people flock to the site of 9/11 in New York City, or visit past battlefields like Normandy or Gettysburg, or even place flowers at the graves of loved ones, I pray at abortion centers because that is where babies die. They have no one to place a flower on their grave, since they are either tossed in dumpsters or disposed of as "medical waste." So: It's important to be there, at the abortion clinic, to mourn their lives. If you're driving and stop at a busy intersection, you might see a panhandler, asking for money or food. If you go to church, you might hear a missionary talk about people starving in far-off countries. If you visit a nursing home, you'll see elderly who are all but abandoned by their family. These things make us uncomfortable, and often move us to action. When we see suffering, it pricks our conscience. Many times, abortion clinics go unnoticed by the people driving by--they see only another building, not the (in)humanity of what happens behind the doors. I've talked with many pro-lifers who didn't even know that an abortion clinic was in their city, or even right in their neighborhood. So: It's important to be there, at the abortion clinic, to show your neighbors what is happening, right on the street where they live--and that you don't approve of it. 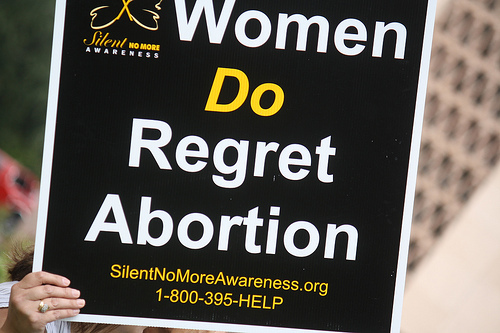 I've prayed at abortion clinics for years, both alone and in peer groups. Now I take my kids with me. For this fall 40 Days for Life campaign, I'll be nearly 8 months pregnant. It's important for women, alone or with children, to pray outside clinics. While the presence of the older pro-life generation is undeniably important (and indeed, that generation laid the foundation for the very vigils and marches we participate in today), I believe it sends a powerful message to the world when women--especially those born after 1973--publicly pray to end abortion. 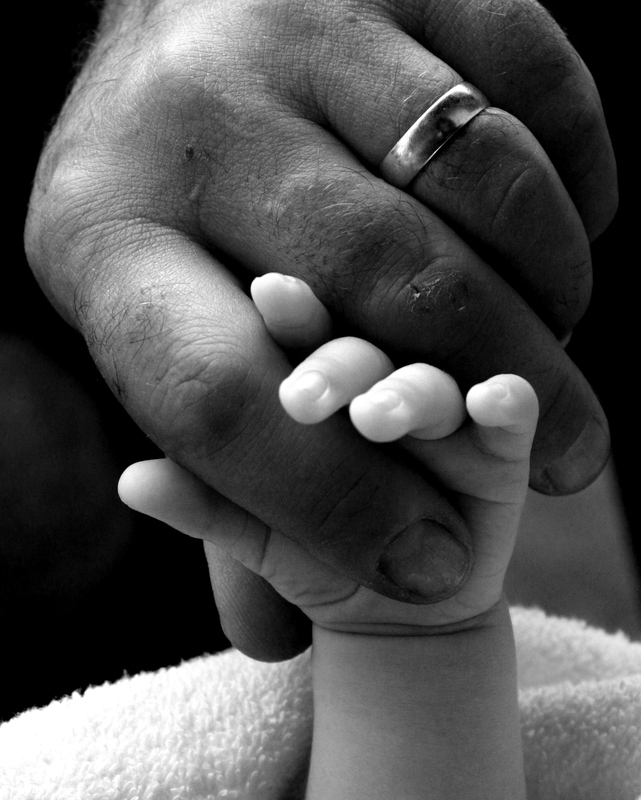 We are there to hold out a hand and say, "Come with me to the crisis pregnancy center. You're not alone, you don't have to do this, and there is a way out. And you and your baby deserve better." So: It's important to be there, at the abortion clinic, to show other women that they're not alone, that children are beautiful, and that life is precious--hard, but precious. 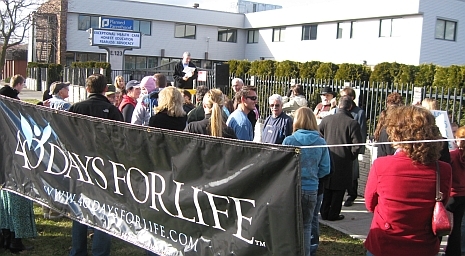 This Saturday, 40 Days for Life kicks off in my town with a rally. I've signed up for a few vigil slots per week. Think about joining me. Even if you find it depressing, too. Great post Mary!! Next time you're visiting, let's get a group together and go pray! What a wonderful post! For those who want to attend the 40 Days for Life kickoff rally, it's 3:00 to 4:30 in front of Planned Parenthood at 123 E. Indiana in Spokane. 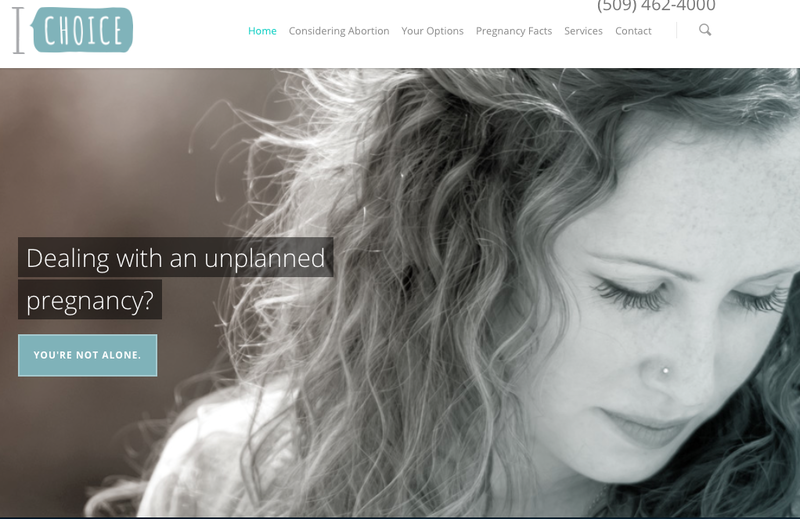 Also, there's a Healthcare Resources Handout near the bottom of the local 40 days for Life website (www.40daysforlife.com/spokane) under LOCAL RESOURCES that you can print so you can have all the ready resources at hand in case someone asks where else to turn for services. I only need one reason. Someone suggested adoption to my husband's birth mother. Despite her family and friends encouraging her to have a third abortion, she resisted and chose life for him.